Paul Ryan’s first shutdown fight: The new House speaker is facing his first challenge with appropriations bills. House Republicans have their new speaker. Trouble will soon follow. 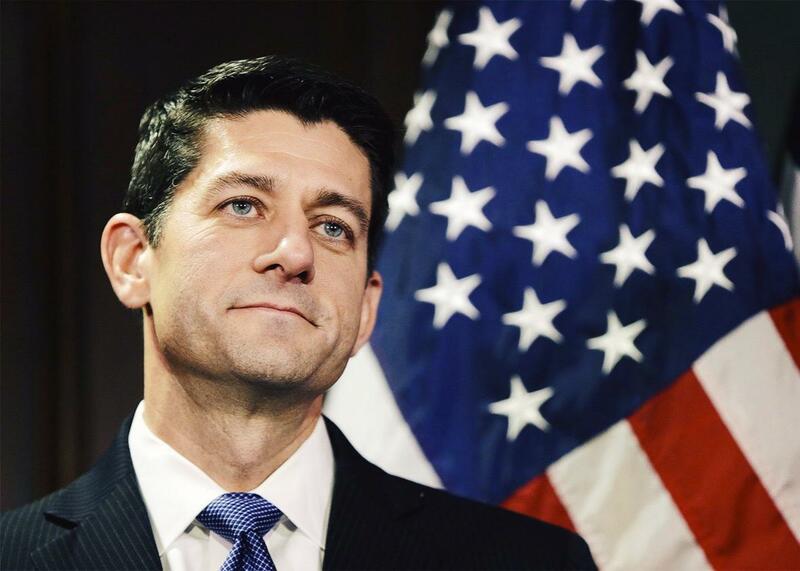 Newly elected Speaker of the House Paul Ryan holds his first news conference at Republican National Committee headquarters in Washington on Nov. 3, 2015. Funny thing about that budget and debt ceiling agreement that supposedly removed the threat of a government shutdown for two years: It did no such thing. It didn’t even remove it for two months. The Bipartisan Budget Act of 2015 “should finally free us from the cycle of shutdown threats and last-minute fixes,” President Obama said while signing the agreement Monday. All the weight of the world rests on that “should.” A lot of things should happen. Donald Trump and Ben Carson should drop in presidential polls. Twitter should maintain stars and not replace them with dumb little twee hearts. Tom Brady should be exiled to outer space. The 114th Congress, similarly, should have a smooth appropriations ride now that the budget agreement has resolved the thorniest aspect of the spending process: setting top-line funding numbers. House Republicans, with their flashy new hot-shot speaker, should offer their input and then do whatever the new boss says to avoid embarrassing him this early in his tenure over some ideological fantasy. But things are going to get a little bumpier than they should. Now that the framework for funding the rest of the fiscal year is agreed upon, Congress must pass the actual appropriations by Dec. 11 as agreed to under the short-term continuing resolution passed at the end of September. You’ll recall back then that Congress was barreling toward a shutdown over certain demands from the House Freedom Caucus. They wouldn’t vote for any funding measure that gave Planned Parenthood access to federal dollars, and they would attempt to oust Speaker John Boehner if he called up and passed with Democratic votes a bill that funded Planned Parenthood. So Boehner offered to topple himself instead and passed the two-and-a-half-month extension as a lame duck. There’s no indication that House conservatives will be more receptive to funding Planned Parenthood by Dec. 11 than they were in September, and the appropriations process can get bogged down by riders that are slapped onto the hide of massive spending bills. The Planned Parenthood rider is just one potential escapade that could jam everything up. Can’t you already hear the House conservatives, more than a month out, going on about how Congress has the power of the purse and that’s why Republicans should be able to get whatever-the-hell ideological demands they want in December? “This is the legislative branch and the power of the purse rests within the legislative branch,” says one of them, “and we fully expect that we are going to exercise that power.” This same fellow then muttered something about how House Republicans must “go on offense on ideas.” Perhaps ideas such as, say, not allowing Medicaid reimbursements for medical procedures at Planned Parenthood? He wouldn’t say one way or another. Those were the words of nine-term Wisconsin Rep. Paul D. Ryan, who’s now the speaker of the House. He delivered them in his first weekly press conference Tuesday along with some other rainbow-sparkle happy talk about how he’ll allow open amendment on everything, forever, starting with the (also vital and therefore impossible) highway bill that the chamber will take up first. The hope (ha!) is that Ryan either has some understanding with the conservatives in his conference or at least will be given some leeway. Because a package that includes riders to defund Planned Parenthood or whatever else—repeal Obamacare, defund executive actions on immigration, require President Obama’s resignation, criminalize association with the Democratic Party—will face a presidential veto, if it even gets that far. During budget negotiations, Senate Majority Leader Mitch McConnell asked his Democratic counterpart Sen. Harry Reid to “relax their filibusters on appropriations bills as part of the budget deal,” according to Politico. Reid said no, and one imagines him laughing while saying so. McConnell then asked for a looser understanding, at least, and got the same response. What will need to happen in the end is that appropriators—Democrat and Republican, House and Senate—sit down and hash out some omnibus agreement that’s acceptable to majorities in both houses (and 60 in the Senate) and the White House. That means the sort of backroom deal-cutting that the Freedom Caucus and Ryan himself have vowed to move away from, and it also means all sorts of unpalatable giveaways to K Street that leaders hope no one has the time to read, process, and mobilize against. Appropriations deals mean eating a lot of dirt in exchange for a lot of good. It’s also just sort of The Way Things Are. Ryan is going to have to come up with some red-meat shiny object in this process if he wants to avoid instantly depleting his political capital. Rep. Mick Mulvaney, one of the chattier Freedom Caucus members, told reporters last week that Ryan has to win “at least something better than we would have gotten under Mr. Boehner.” As with all of Boehner’s deals, expect the focus to be much more on what Ryan didn’t get than on what he did.